Why Do We Put Stamps on the Upper-Right Corner? Since it costs only 47 cents to shuttle a letter across the country, you’d think we’d be happy to follow a couple of simple rules without asking a lot of questions. 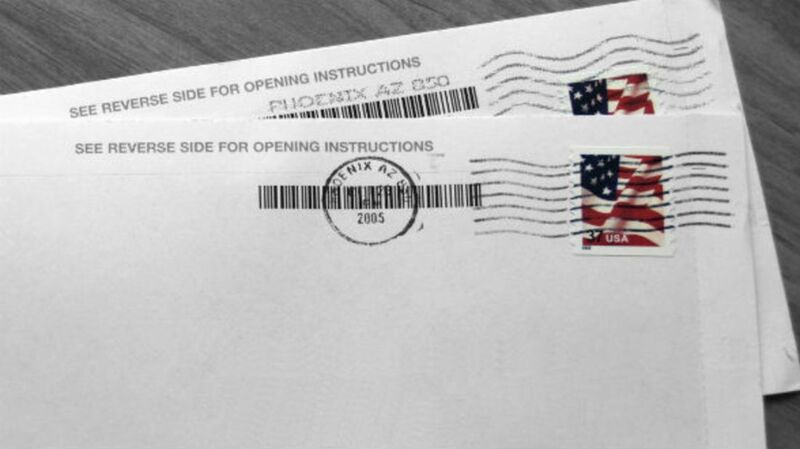 It seems reasonable enough that the United States Postal Service requests we place postage stamps on the upper-right corner of envelopes and other materials. Still, we wonder: Why not the lower right? Or upside-down? Who decided on the upper right? “When postage stamps were first issued in this county in 1847, there appears to have been a great deal of confusion over how to use them and possibly also where to place them, at least for a time,” Daniel Piazza, Chief Curator of Philately at the Smithsonian National Postal Museum, tells mental_floss. “Placement was less important in the days when all stamps were hand-cancelled individually by postal clerks. With the introduction of high-speed cancelling machines starting in about the 1890s, the placement of stamps in the upper-right corner became more important to be as efficient as possible.” It's believed that placement coincided with the dominant hand—the right—of most mail handlers. Getting creative with the stamp’s orientation doesn’t really matter, either. At least, not to postal workers. During the Victorian era, young lovers who feared their mail being intercepted by disapproving parents developed a code that hid covert messages according to postage placement. An upside-down stamp might mean the sender loves the recipient, while a sideways stamp could have indicated they were being relegated to the friend zone. Variations of the system are still being used today by loved ones writing to prison inmates, who are also subject to mail review. While letter carriers might sigh if they see an upside-down stamp, your pen pal may grow downright wistful.